Texas Powered Paragliding, LLC – Step Into The Sky! 512-923-8343 – Parajet & Scout Paramotors and Reflex Wings – Learn to Fly! Parajet & Scout Paramotors and Reflex Wings - Learn to Fly! Today with Powered Paragliding aviation is more affordable and accessible then ever before. And with almost 40 years of innovation, research, and development, it's so easy and safe practically everyone can learn. Don't let life pass you by, start Powered Paragliding and Begin Your Adventure! Without understanding the full relationship between wing and motor, some wing manufacturers are converting free flying wings into paramotoring wings. It was the same for hangliders; in the beginning people were using normal free flying, non-reinforced hangliders for power. Then along came specifically designed wings that took the sport into new highs. Reflex Wing’s Mike Campbell-Jones rediscovered and re-engineered the reflex wing for paramotoring in the early 90s and has since refined the wing shapes, materials, and control systems until today’s Reflex Wings gliders offer safety, agility, and speed that pilots of 20 years ago could only dream of. Geometry is key when it comes to precision and control with Powered Paragliding and Scout Paramotors has designed the perfect PPG Aircraft. The airfoil-shaped profiles on the carbon frame are used to compensate torque in flight. The propeller is perfectly positioned to allow for maximum thrust and minimal gyroscopic effect. Hybrid Arms allow for the most free flight feel available. And Safe Start, helping prevent the unexpected full throttle, are just a few of the reasons Scout is recognized as an industry leader in safety and innovation. And while geometry may be key, Parajet understands it's only one of the many keys to making a light weight, functional, and robust Paramotor. Consider the Maverick, masterfully engineered offering feather light titanium strength with uncompromising quality and performance. Or the Zenith, world's first fully CNC-machined Paramotor with enhanced chassis geometry and in-flight maneuverability. 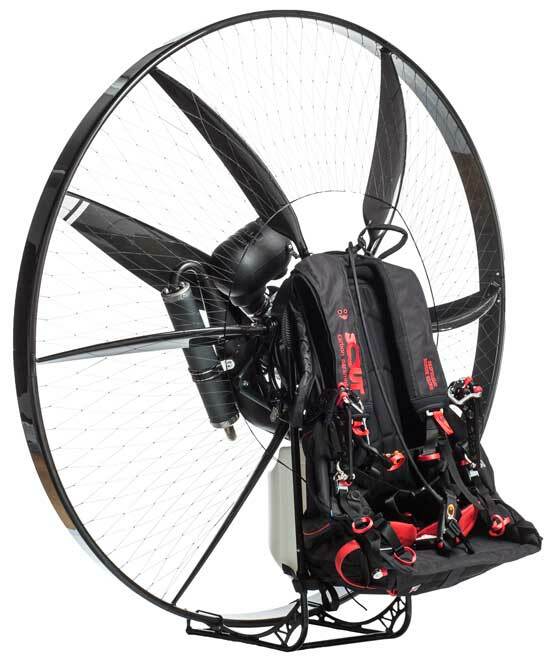 Or how about the new Volution 3, the most refined Paramotor ever. 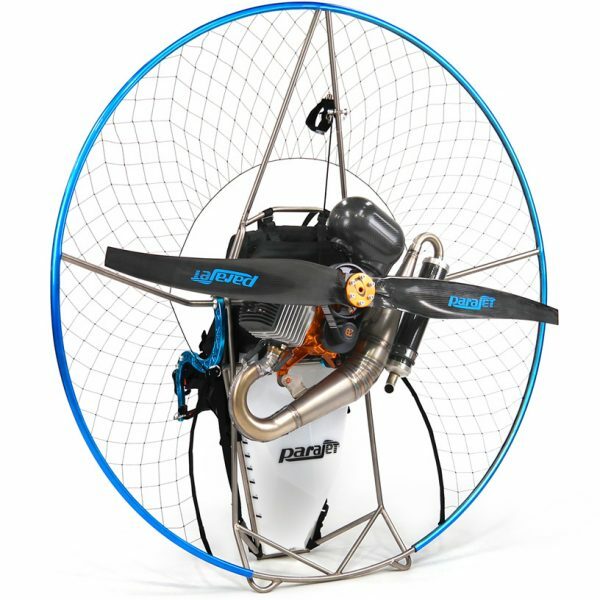 The Volution 3 is the culmination of all Parajet experience gained through pioneering design, engineering innovation and Paramotoring expertise combined. Certified by the United States Powered Paragliding Association (USPPA) for Foot Launch and Tandem Training, and CloudStreet Towing Winch equipped, Texas Powered Paragliding is ready to help students earn their PPG1, 2, and 3 ratings as safely and thoroughly as can be found throughout Paramotor Schools today. And as in every other form of aviation a students first flight is WITH an experienced and certified pilot, we've taken training a step further by also adding Tandem Instruction to our Training Syllabus. There is simply no better and safer way to learn on than with an instructor within arms reach. Each month we have one 7-9 day class on the Texas Coast where all day training is possible. Class sizes are limited to 5 students to ensure a fair student to instructor ratio. Students will normally fly on day 4 or 5 of training and by the end of the course will have completed 15-20 Tow-ups, 1 Instructional Tandem, 15-20 solo flights, earned their PPG1 rating, and be well on the way to completing all PPG2 requirements. Click on the picture to learn more. You've waited long enough, don't wait another minute. Your adventure starts today! Call NOW to reserve your spot in the next class with Texas Powered Paragliding!